Tine Fris-Ronsfeld is a Danish singer well-known throughout the choir and vocal music scene for her remarkable voice and stage presence, her innovative arrangements for the famous Danish pop choir Vocal Line and for her catchy compositions for the contemporary a cappella group Postyr, with whom she has been touring Europe, the US and Asia since 2011. Tine is also the conductor of the Danish pop choir ”LYT” , co-conductor of the National Danish Youth Choir "Syng Selected" and co-author of the book ”Icebreakers – A practical Approach to Group Dynamics”. Furthermore, she is the founder of a music and dance school for talented kids in the rural area where she grew up and a member of the board of Aarhus Vocal Festival and the music venue Radar. 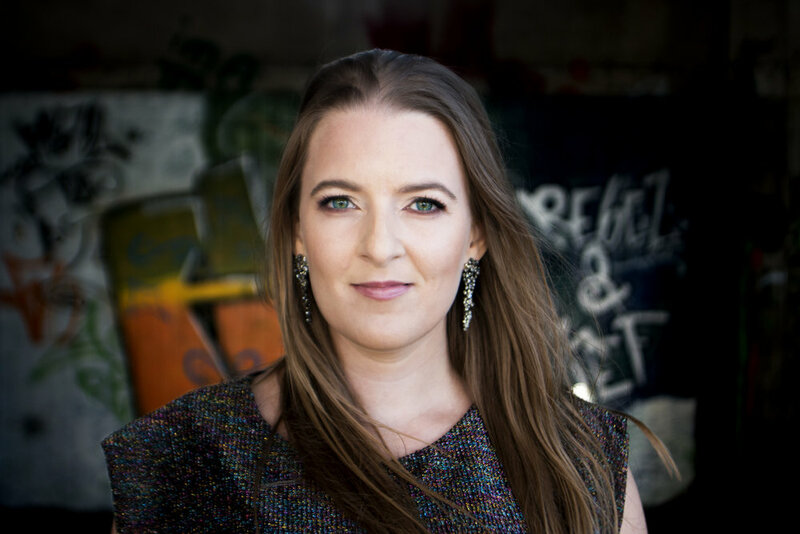 Tine is a graduate of The Royal Academy of Music in Denmark, and she has more than 15 years of experience teaching soloists, choirs and vocal groups on all levels in singing, stage performance, icebreakers and entrepreneurship. Tine loves to teach and she has guided a number of different types of workshop, including voice training and interpretation for choirs and ensemble singers and a group dynamics workshop based on her Icebreakers book. Together with Kristoffer Fynbo Thorning she has run a session looking at some of the options available to choirs or vocal groups if they want to integrate computers and effect machines into their performance. These ideas range from the easiest options with plug’n’play loopers and effect hardware to really complex setups with midi-triggers, computer software and hardware integration.